3-bedroom open plan family home has all the modern conveniences and a casual, laid-back atmosphere. 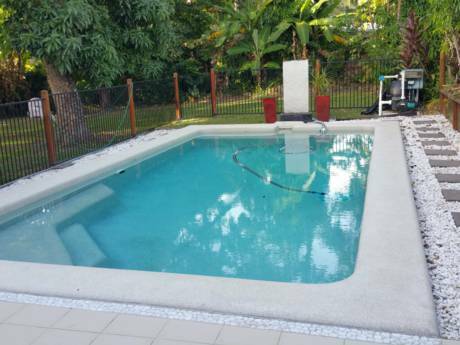 Completely air-conditioned, two way bathroom, massive outdoor entertainment area and fenced garden. 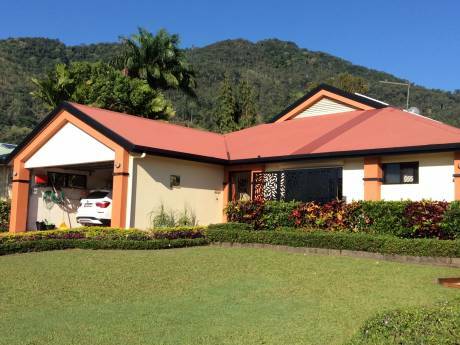 With a backdrop of rainforest-covered mountains, the home is very private, in a quiet coldisac in one of the most sort after suburbs of Cairns. With a ten year old and teenagers in the family, the house is full of fun things, across a broad range of ages. Edge hill has a lovely 'village' atmosphere. Our house is close to restaurants, shops, art galleries and theatres. The botanical gardens and tropical reserves are a short walk away, along with some of the best walking tracks in Cairns region. 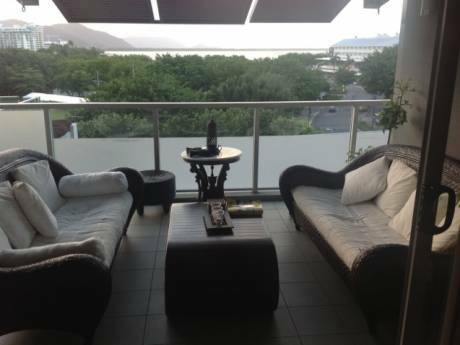 Cairns is the gateway to the Great Barrier Reef and also the Daintree Rainforest. It has numerous beautiful white coral sand beaches; many freshwater pristine rivers to swim in and all a short drive away. As a tourist destination for Australia and the world, Cairns has many restaurants and attractions as well as the incredible natural beauty. I'm busy mum who juggles work, study and family. My interests include bushwalking and art. We have done house exchange before and spent a wonderful time in Northern Italy in 2007. We are looking forward to exploring another part of this wonderful world.